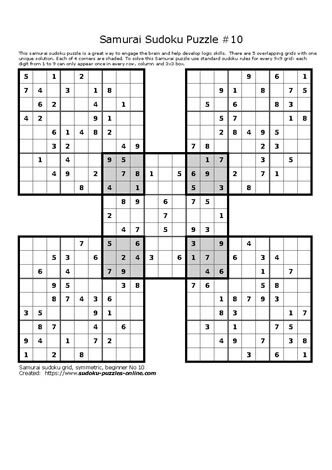 Extreme Sudoku puzzles require puzzles solvers to follow basic Sudoku rules, and logic, to fill in the blanks with digits 1-9, arriving at its unique solution. Each of the 9 digits can only be used once in each row, once in each column and once in each of the forty-one 3x3 grids. A great sense of accomplishment is achieved once the solution is reached! Download, print and solve with family and friends.